Take the Narita Express to Shinjuku Station and get checked into your hotel. I recommend the Shinjuku Sunroute Plaza. It’s close to Shinjuku station and therefore in Shinjuku, a great walking area filled with shops, restaurants and plenty of nightlife. Note: Make sure you go to an ATM and take out plenty of cash because Japan is a cash-based society and a lot of restaurants will not take credit cards. Immediately after dropping off your bags and performing whatever rituals you like to perform upon arrival, proceed to Omoide Yokocho (Yakitori Alley). Do not pass go, do not question if this is the right thing to do, do not get distracted by all the other things there are to do in this exciting, overwhelming city. 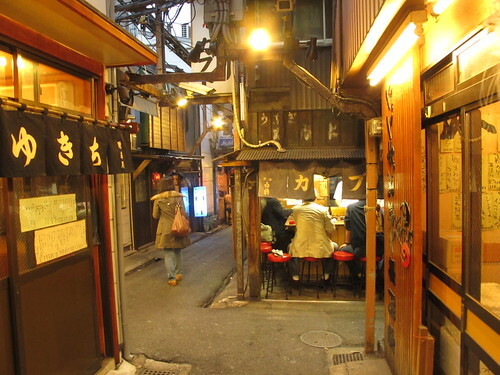 Go directly to Yakitori Alley and eat some yakitori. 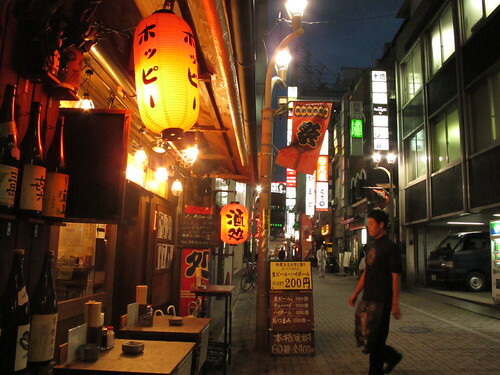 This funky street full of tiny yakitori joints beckons to be experienced and it is definitely more important that you go there than go to sleep! But don’t stay out too late because tomorrow is going to be an early day. Alternatively, if you do stay out late, then just stay up all night because you will be getting up before 5 am tomorrow anyway! 4 am – Turn off that damn alarm. Yes. 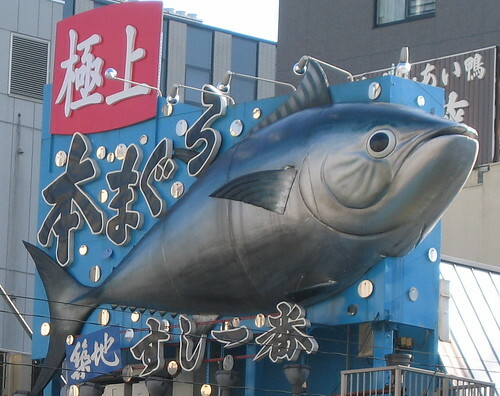 I know it’s way too early but that’s the sacrifice you must make to get to Tsukiji, the World’s Most Famous Fish Market, in time to see all the action. So grab a cold can of coffee from a vending machine (I recommend Boss Café au Lait, although Fire is good as well) and take the Hibiya line of the Tokyo Metro to Tsukiji Station, exit 1. You will get to witness the auctions for the freshest, most incredible tuna anywhere. Beware the motorized vehicles that are zipping around here, as they will hit you if you are not careful. Remember, even though this is an immensely popular tourist destination, it is still a working market and they have things to do. 7ish am – After watching the auctions and getting once in a lifetime photos, wander through the little alleys and find a restaurant that is willing to serve gaijin (Japanese term for foreigners) and eat yourself the freshest sushi you will ever have. Sushi for breakfast may sound strange but once you try it, I believe you’ll find it quite amenable, and if not, then at least you’ll have a great story. 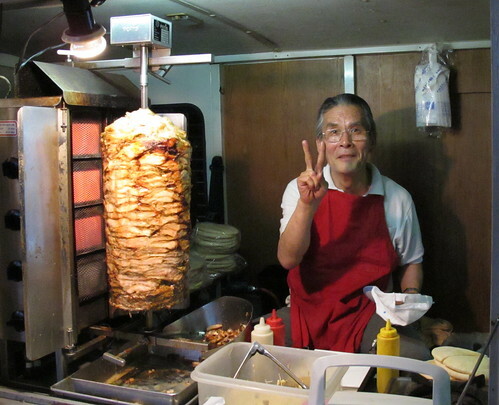 9 am – With your belly full and your mind clear, it’s time to grab a train and head to Kichijoji and Inokashira Park. After getting to Kichijoji, head straight for Inokashira Park. Grab yourself a black sesame ice cream and watch the bluesmen play to the crowd. I hope you brought your camera. On the weekends there is a nice craft fair, where people bring all kinds of hand made items to sell. This is fun to peruse before taking a stroll around the small lake. Noon – After enjoying the park and all it has to offer, you can go to the Ghibli Museum (I hear it’s quite good) OR you can simply wander the narrow streets of Kichijoji, do some shopping and search for more good food, like I would. The alleys are filled with small boutiques, cafes and eateries. 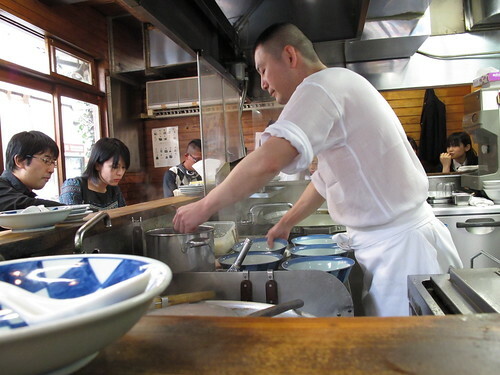 If you happen to come across a small ramen shack that only seats twelve people, yet always has eight people patiently waiting outside for the next available seat, then definitely get in line! This goes double for any robata sushi places with lines spilling out the door when the neighboring restaurants look empty. Who says you can’t have sushi for breakfast and lunch? So long as you have yakitori for dinner, it’s all good. This Chef was not Messing Around. Seriously Good Ramen. 4 pm – Time to head back to Shinjuku. On the way back you will have to change trains in Shibuya so I recommend that you experience Shibuya Crossing. You can go out Hachiko exit and get up close or just observe from the train station window. If you are truly obsessed with this intersection then the 2nd story window of Starbucks in the Tsutaya building is said to have the best vantage point from which to observe the mesmerizing action of thousands of people crossing a street. Or you can take part in the action and wander around Shibuya for a bit. There’s heaps of shopping here. 6 pm – Okay. If your like me then it’s time for more coffee and some food. 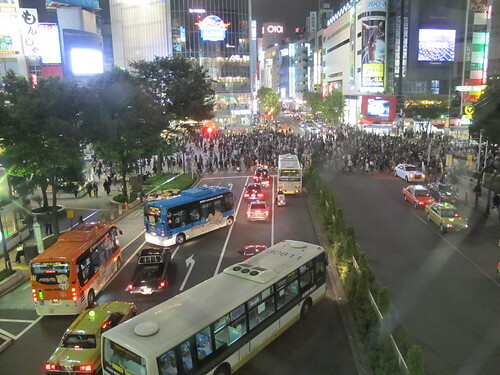 Head out of the hotel and straight into the beautiful madness that is Shinjuku. This mesmerizing cacophony of sights, sounds and smells will be your playground this evening. There are a million things to do, see and taste waiting right outside your doorstep. You don’t need a specific plan, in fact I recommend against it. Just head out and explore. You could end up drinking with locals at an izakaya (Japanese version of a pub), making friends with them and having them take you to a very traditional Japanese sake place, and eating raw fish guts and crab brains at 4 in the morning or who knows what else? One thing is fact. 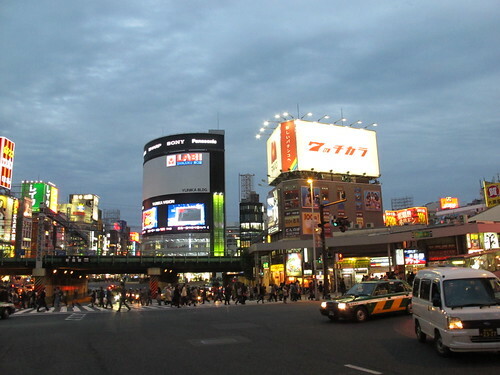 Shinjuku is the right place for a great city adventure. A few things to keep in mind: Make certain you go down the small alleyways between the major streets, as that is where you will find some of the funkier, more unique spots. Also, remember to grab a map of the area from your hotel and the hotel’s business card as you can always show this to the taxi driver to get you back. Be warned Tokyo taxis are expensive. A cool thing about them is they are equipped with automatic door openers. So if you don’t want to look like a rookie, wait for the taxi door to open instead of opening it yourself. And don’t slam it shut when you leave, it will close by itself! Heck, you may want to take a taxi just to experience that. Have fun! 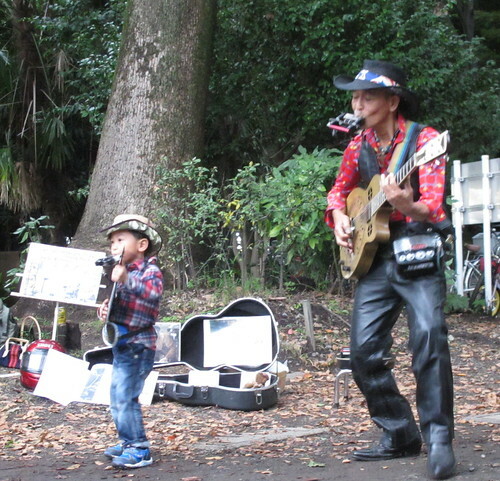 This entry was posted	on Monday, January 24th, 2011 at 11:38 pm	and is filed under Adventures, Japan, Places, Travel Tips. You can follow any responses to this entry through the RSS 2.0 feed. You can leave a response, or trackback from your own site.